The Oxford Experience is a residential summer programme providing one-week courses in a variety of subjects aimed at non-specialists. It offers a choice of seminars each week over a period of six weeks. Archaeology is defined as the systematic study of past human life and culture by the examination of remaining material evidence, such as graves, buildings, tools, and pottery. This course looks at the progression from antiquarian interest to the establishment of archaeology as an academic discipline. It then considers the methodology of archaeology: what happens before an excavation begins? what happens during an excavation? and what happens after an excavation is finished? The second part of the course presents a brief introduction to the archaeology of Britain from the earliest prehistory to the end of the medieval period. Finally, we look at a few case studies from archaeological sites. There will also be visits to several archaeological sites in the area. Seminars meet each weekday morning, 09.15-10.45 and 11.15-12.45, with afternoons free for course-related field trips, individual study or exploring the many beautiful places in and around the city. From Antiquarian to Archaeologist: the development of archaeology as an academic discipline. Why are you digging there? Pre-excavation methodology and how sites are located. Landscape archaeology. Have you found anything? Excavation techniques and on-site practice. What happens now? Post excavation techniques; scientific dating; paleopathology; statistics and computers in archaeology. British archaeology – the medieval period. Case studies – examples from archaeological sites. Asthall Anglo-Saxon Barrow; Belas Knap Long Barrow; Rollright Stones; Deddington Castle; North Leigh Roman Villa. Easy: Up to an hour's walk on even ground or less than half an hour's walk on rough ground. Moderate: Up to two hours' walk on even ground or up to an hour's walk on rough and/or steep ground or up lots of stairs and steps. Demanding: More than two hours' walk on even ground or up to two hours' walk on rough and/or steep ground or up lots of stairs and steps. Bahn, Paul. Archaeology: a Very Short Introduction, Oxford: OUP, 2012. Greene, Kevin. Archaeology: an Introduction. London: Routledge 2010. Muir, Richard. The New Reading the Landscape. Exeter: University of Exeter Press, 2010. 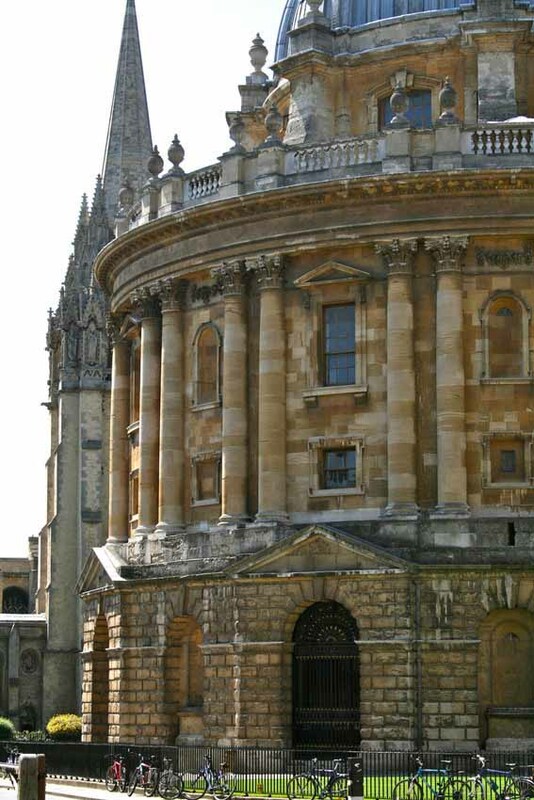 During your course, you will stay in typical Oxford student accommodation at Christ Church in buildings which range from the 18th to the 20th century. Bedrooms are modestly-furnished, do not have air-conditioning and are arranged on a staircase of four or five floors. The fee £1545 includes a bedroom with private bathroom facilities (shower, washbasin and toilet). Most are single but a few twins are available for couples or those who wish to share with a friend. Those couples wishing to book a twin room should contact us direct ipoxex@conted.ox.ac.uk, as these rooms cannot be booked online. There are also a few standard rooms available which all have their own washbasin and shaver point but the bath and toilet facilities on each staircase are shared. To apply for one of these rooms please select the ‘Programme Fee (with single standard accommodation and meals)’ option on the application form. Early application for these rooms is essential. Most standard rooms are single but there are a few ‘twin sets’ (two single rooms opening off a sitting room). If you wish to book a twin set, please contact us direct ipoxex@conted.ox.ac.uk, as these rooms cannot be booked online. Please indicate your accommodation preferences (either online or on your application form) together with a note of any mobility problems. We regret that we are unable to offer you accommodation at Christ Church prior to or following your course. Additionally, family or friends who are not enrolled in the programme cannot be accommodated in college. Online registration closes on Wednesday 1 May 2019 but please note that this course may be fully booked very quickly so early registration is recommended.